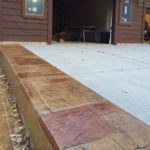 With over 45 years of collective experience in custom concrete design and installation in Hugo, MN and throughout north eastern communities of the the Twin Cities region, Lehmicke Construction provides the quality and creative solutions consumers and construction partners have come to rely on. 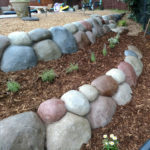 Lehmicke Construction provides custom concrete solutions for your residential driveway, basement floors, walkways, patios, concrete deck creations, pool decks, and custom outdoor furniture, landscaping divides, cement boulder walls, and more. We also create concrete solutions for small business and light commercial spaces like restaurant and entertainment venue flooring, patio spaces, and custom designed parking, walkways and trails. 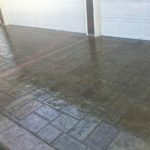 Application solutions vary from stamped concrete, acid stained, colorized, micro-topping and overlays to name a few. All projects are designed, formed, and installed using cutting edge equipment and through sound process and competitive pricing. 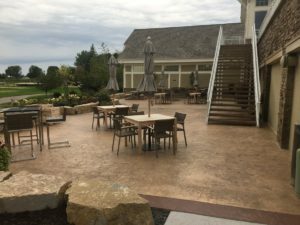 Want to learn more about our custom concrete solutions for your residential or commercial projects in and around Hugo, MN? We provide free professional concrete estimates! OR – Fill out the contact form found here on this page. Use the dropdown to select the location for your next project? Don't see the location listed? Use OTHER to tell us where you'll be so we can provide you an accurate estimate of time and cost.